Sanju has made a grand entry at the box office and is definitely here to stay. With stellar performance from Ranbir Kapoor among others the film has blockbuster written all over it. Directed by Rajkumar Hirani, the film is a biopic about the roller-coaster life of Bollywood veteran Sanjay Dutt. The drug addiction, struggle and hardships face by the actor in jail have intriguing audiences worldwide. Looking at the trailer itself, trade pundits predicted that it will smash box office records and Sanju is on the right path to do that. Ranbir Kapoor has played the character so well that there is no telling who is reel and who is real. Defying all odds the film has a smashing opening day collections. With its 34.75 crores in its first day itself, Sanju does not only beat opening day collections of Salman’s Race 3 (29.17 crores) but also is this year’s highest opening movie. The numbers and advance bookings clearly indicate that it will easily cross the 100 crore mark over the weekend. With great reviews from critics and a positive word of mouth from the audiences will surely benefit the day to collections. According to the early trends, Sanju is expected to bring in almost in the range of 39-41 crores on its second day at the box office. Storytelling genius Rajkumar Hirani has mastered the art of direction and knows the audience psyche. 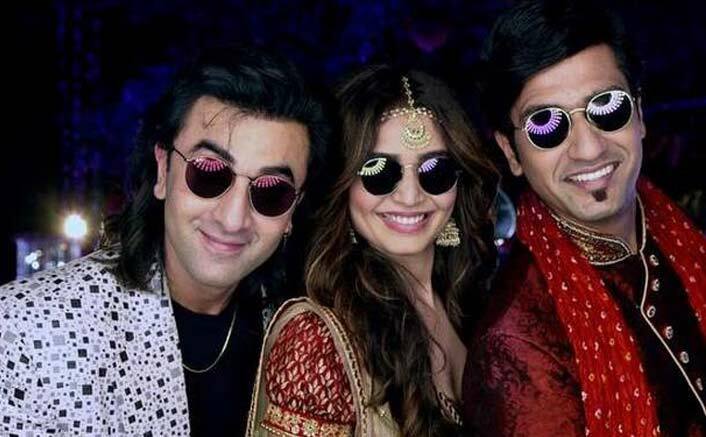 Apart from Ranbir Kapoor the film includes a star studded support cast of Vicky Kaushal, Anushka Sharma, Paresh Rawal, Dia Mirza, Manisha Koirala among others. The post Sanju Box Office Day 2 Early Trends: Ranbir Kapoor Shows How To Win The Race! appeared first on Koimoi. Sanju Box Office Collections Day 3 Early Trends: Beyond The WILDEST Dreams! Sanju Day 6 Box Office Early Trends: Redefining UNSTOPPABLE In Style! Avengers: Infinity War Box Office Day 2 Early Trends: A Phenomenon! Avengers: Infinity War Box Office Early Trends Day 3: They’re Here To Conquer! Raazi Box Office Day 2 Early Trends: A Staggering Jump! Race 3 Box Office Day 5 (Tuesday) Early Occupancy: Is A Major Drop In Cards? Race 3 Weekend 1 Box Office: Will Ranbir Kapoor’s Sanju Be Able To Break It? Thugs Of Hindostan Box Office Day 7 Early Trends: The End Is Near! 2.0 Box Office Day 2 Early Trends: The Hold Indicates A Massive Weekend! Zero Box Office Collections Day 4 (Early Trends): Stays Low On Monday! Gully Boy Box Office Day 7 Early Trends: Dips A Bit After A Partial Holiday!